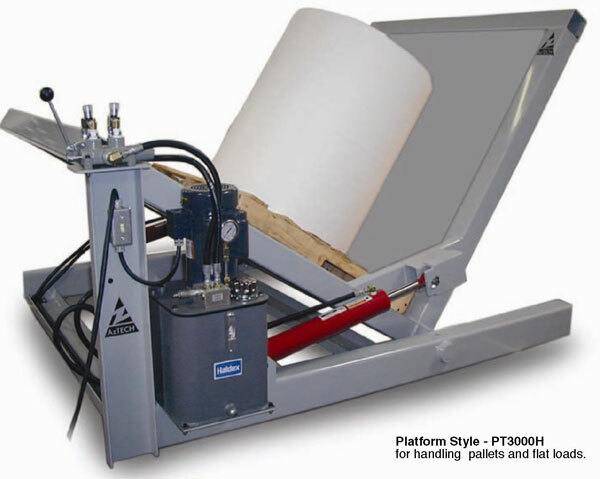 The Pal-A-Tilt Series of Pallet and Large Roll Tilters, with models capable of lifting and tilting loads up to 3000 pounds allows you to tilt your load or roll products a full 90 degrees. The Pallet Tilters can be customize to fit customer specifications. Manufactures and engineered with heavy duty all steel construction for years for heavy industrial use. Heavy duty industrial Powder Coat finish. Portable, easily movable with locking front wheels. 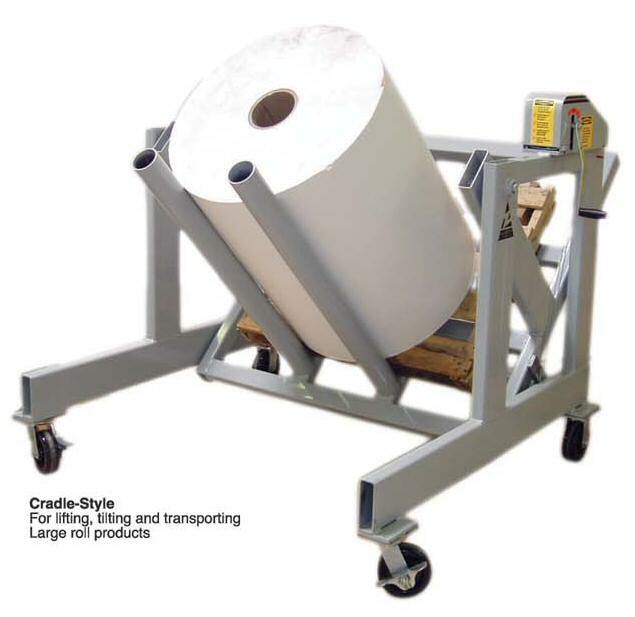 Use as a system with the "Roll-Runner" MH-150 or MH-80 roll handling cards. Custom pallet Tilter designed to customer specification.